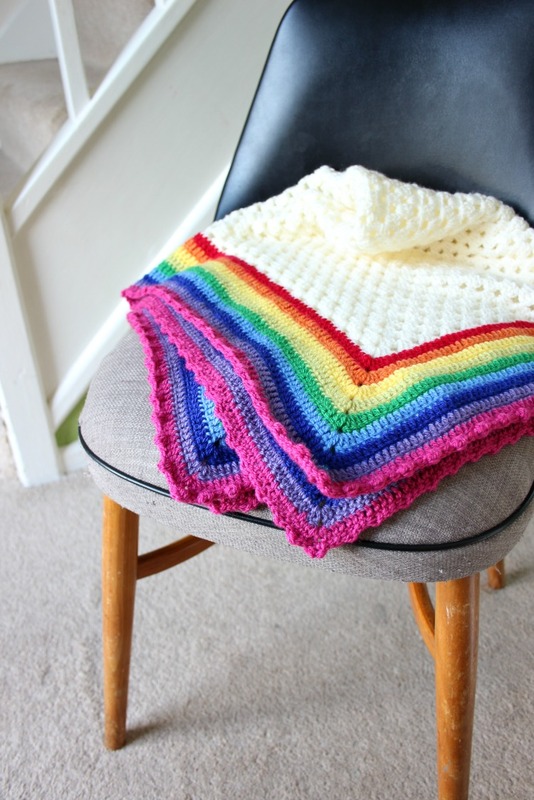 I wanted to call this Easy Granny and her Rainbow Edge but I thought it sounded a bit saucy. 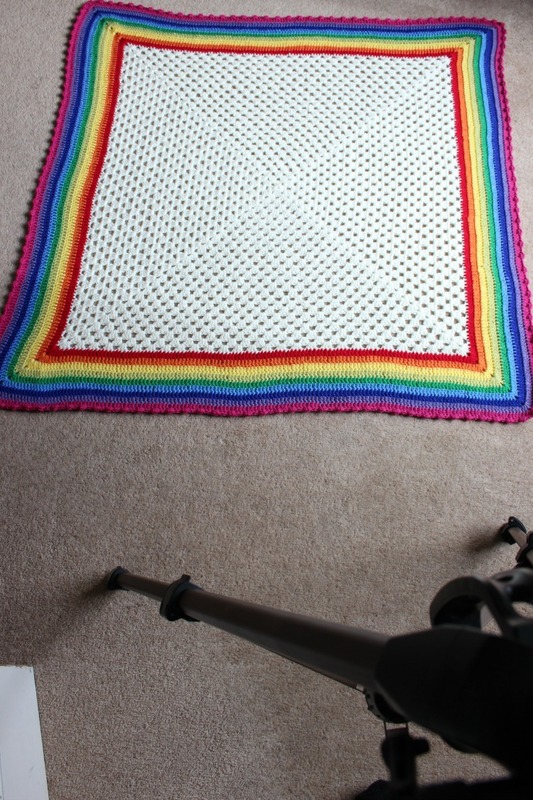 It’s now just a Rainbow Edged Granny Square. 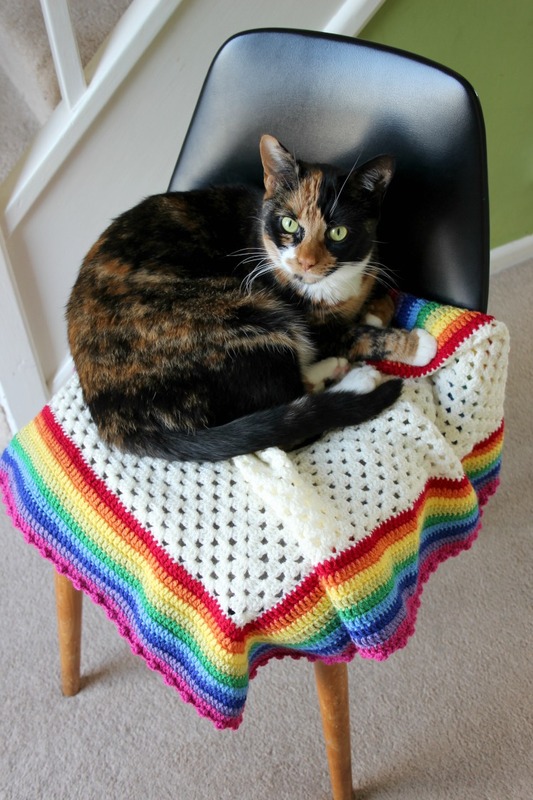 A very traditional sort of crochet blanket but one that seems to be quite popular at the moment. Rainbows are in! I posted the above picture on Instagram yesterday and the response was really positive. There were loads of lovely comments and that surprised me. 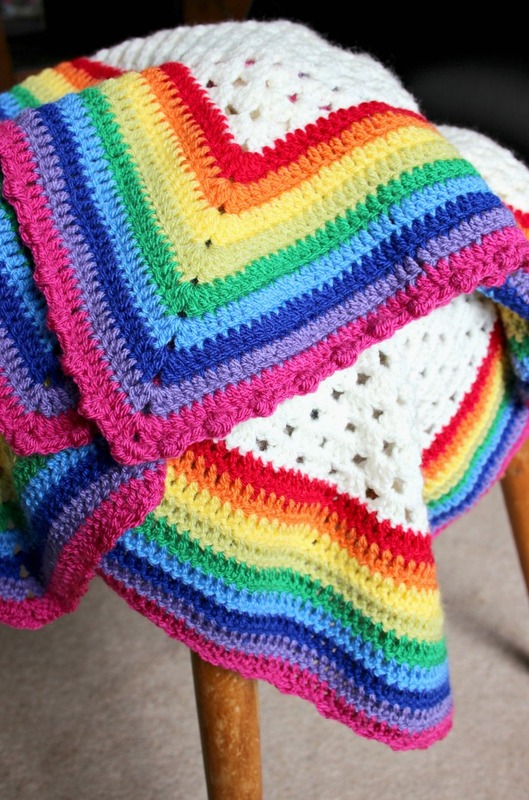 I love that the simple granny square gets so much attention. 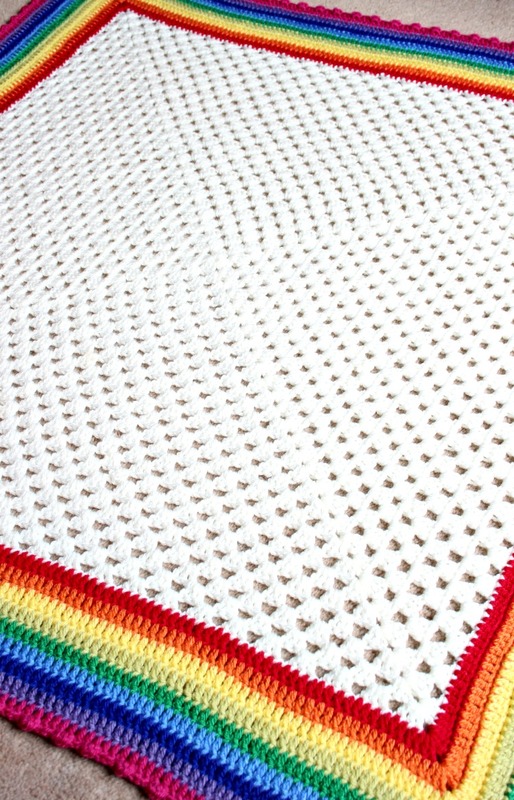 It measures around 89cm (35″), plenty big enough for a baby blanket that’ll see you through to toddler years. I used Stylecraft Special DK. There are two whole balls of Cream for the main body, which as you’ve probably guessed is literally just your standard granny. And for the border (rows of UK trebles) it was probably half a ball of each of the following: Lipstick, Spice, Citron, Pistachio, Kelly, Aster, Lobelia, Violet and Fuchsia. A bit more for the latter as I went round twice with it. The border is taken from Attic 24, it’s the bobble shell edging but I add 3 slip stitches between each bobble. 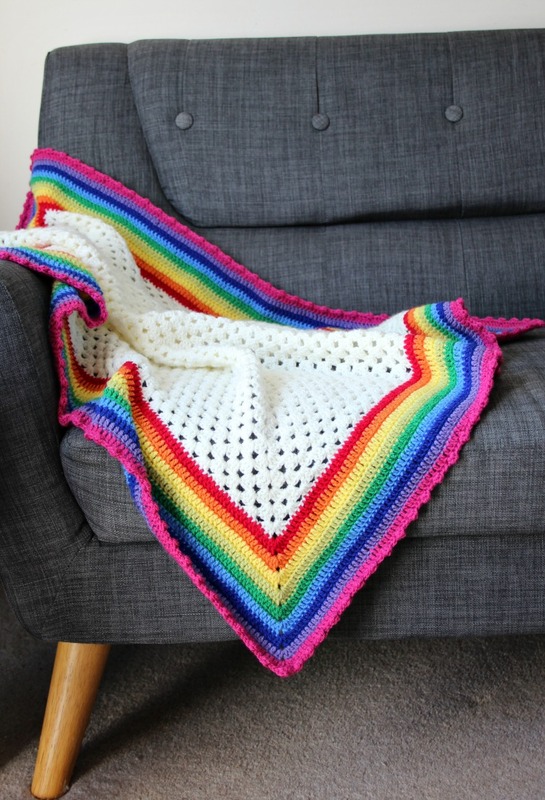 I’ve used it a few times for blankets and I really like the simplicity of it. I don’t always think it’s necessary to have a majorly fancy border, especially when there’s a shed tonne of colour going on. Mistakes. There are a couple! Nothing that would jump out at a non-crocheter but I know that they’re there. Probably my biggest bungle was the indecision about the corners. When it came to the border I did a few rounds of (3tr, ch2, 3tr). It was starting to look bunchy and rather than frog back the three or four rows I’d done I just started making it (2tr, ch2, 2tr). Just that small change made me feel a bit better about how it looked. There are a couple of other minor things but I’m just not going to tell anyone. Is that bad?! 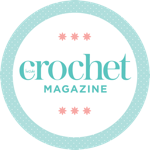 If you’re new to crochet then I also have a video on YouTube to accompany this “pattern” Please do go and have a look for more help about how the granny square is put together. 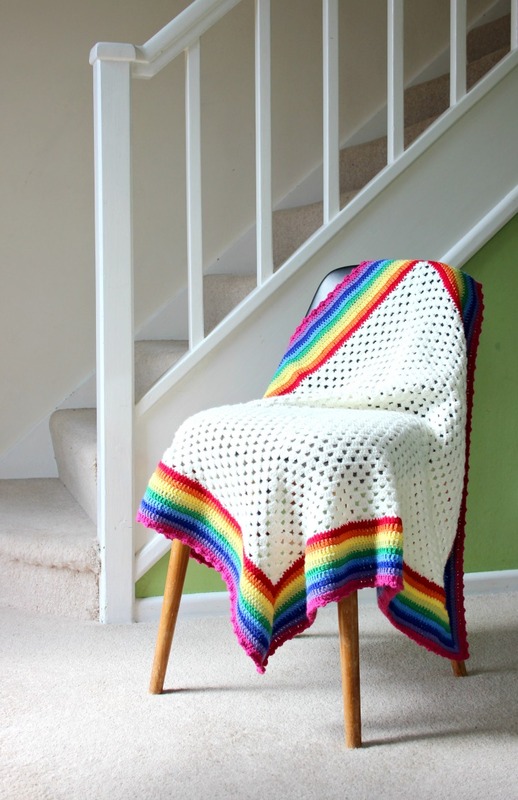 And remember, although it’s “just” a classic Granny, which I cannot claim as my design, the combination of elements I have put together are indeed my design. If you make a blanket, please credit me. Thank you. Unless otherwise stated, all my designs are for personal use only. Adorable! 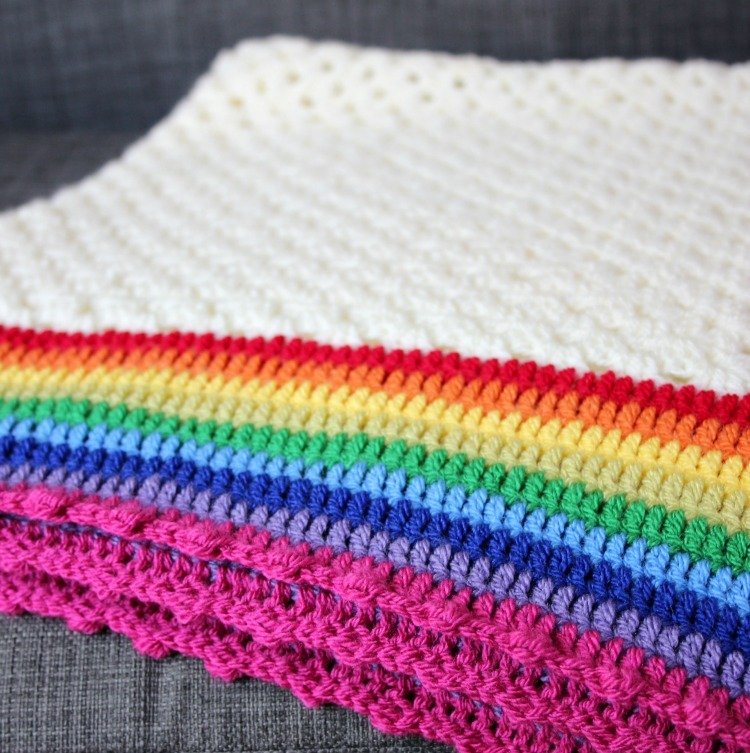 Rainbows are in right now, my daughter would love this blanket! Gorgeous Rosina. So simple but the colours are perfect. I love it ! It’s beautiful and a very adaptable idea. Now my two are bigger they are demanding larger than toddler size blankets though! I’ve been thinking that too. Blankets are going to have to start getting bigger! Haha! I think you might be right! Thanks very much! The information you need is in the blog post. Or there’s a link to the YouTube tutorial. 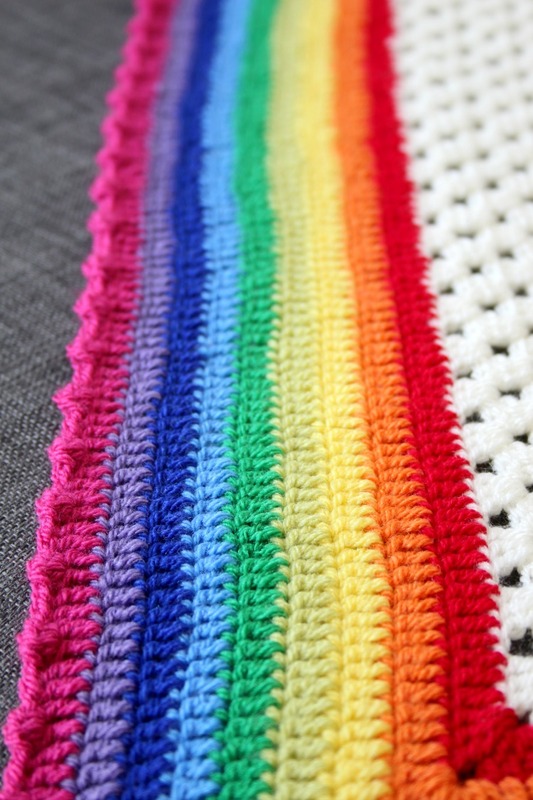 Love the border and the colours are awesome, make the project really pop.